Chrome OS has always been designed with low-power laptops in mind. There have been a few desktop machines over the years, like the ASUS Chromebit and LG Chromebase, but they're vastly outnumbered by Chromebooks. Seemingly out of nowhere, several companies announced new Chrome OS desktops at CES earlier this year - all of which are capable of running Android apps. 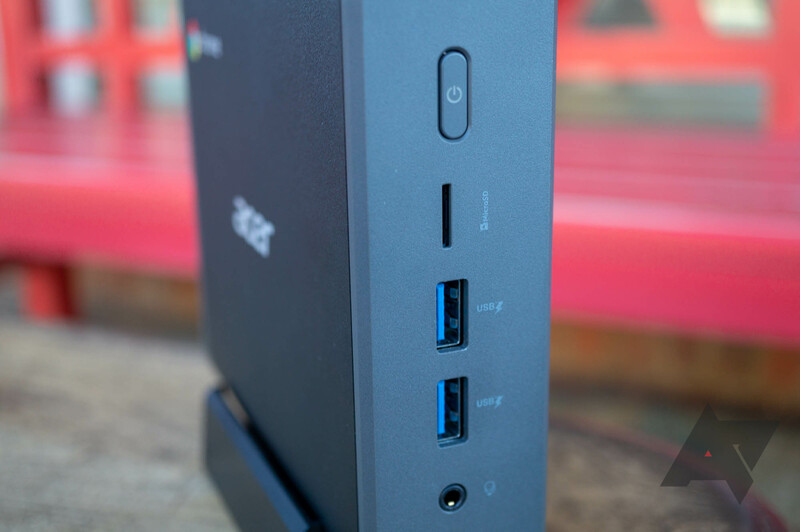 Acer's new desktop is the 'Chromebox CXI3,' which went on sale back in April. There are multiple configurations available, from an Intel Celeron version with 4GB of RAM to a Core i7 model with 16GB of RAM. Interestingly, Acer isn't marketing the CXI3 to consumers - it's designed for use in schools, where Chrome OS is wildly popular. The desktop is only available for purchase through certain retailers like Newegg and TigerDirect. Acer sent us the Core i5 model (CXI3-I58GKM), which has 8GB of RAM and 64GB of internal storage. After using it for a few weeks, I can safely say it's probably the best Chrome OS desktop you can buy - even if it's a little pricey. Performance Chrome OS is incredibly fast on a Core i5 processor. 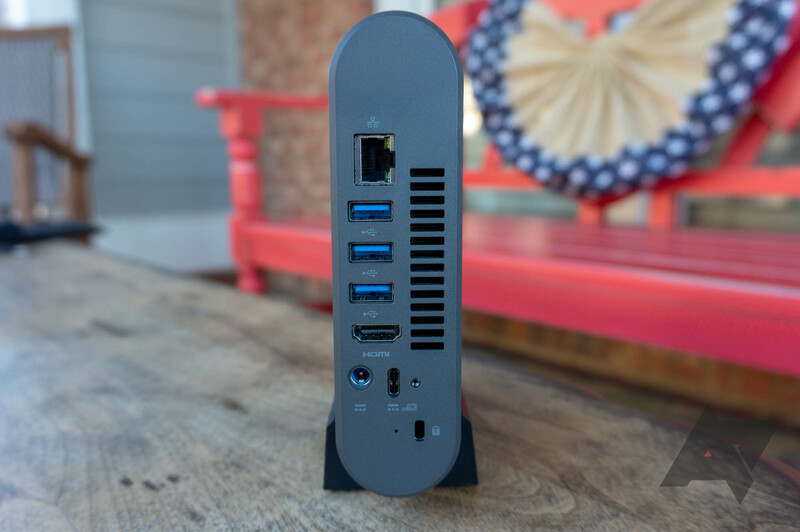 Connectivity There are five total USB 3.0 ports, one USB 3.0 Type-C connector, an HDMI port, Ethernet, a microSD card slot, and more. Size The CXI3 is tiny, and can be easily mounted behind a display with the included VESA kit. Price With a $520 MSRP, the Core i5 model is a tad expensive for a Chrome OS device. Availability You can only buy the CXI3 from a limited set of retailers. Like almost every other Chromebox, the CXI3 is a very small device. It's 5.9 x 5.8 inches (15 x 14.7 cm), with a thickness of just 1.6 inches (4cm). The casing is made of a tough two-tone plastic - nothing flashy. One side has Acer and Chrome logos, and the other has some hardware stickers. Air vents are located on the rounded sides and the back. Since the CXI3 uses U-series Intel CPUs (which are designed for laptops), it's usually very quiet. The only time I heard the fans become louder is while running benchmarks for this review. On the front is the power button, along with a microSD card slot, two USB 3.0 ports, and a headphone/microphone combo jack. On the back is an HDMI connector, a USB 3.0 Type-C port, a Kingston lock, three more USB 3.0 ports, and an RJ-45 Ethernet port. The Type-C connector supports display output, so you can use two monitors at once (when combined with the HDMI port). It can't be used as a power input, but it can quick-charge your other Type-C devices, as long as they use USB Power Delivery. The CXI3 comes with a chicklet keyboard, which has the standard Chrome OS layout - no function keys, search button instead of caps lock, etc. If you use a regular keyboard, Chrome OS seems to recognize Windows keyboard shortcuts. For example, I could lock the Chromebox by pressing Win + L.
As for the included mouse, it's incredibly cheap and you should definitely use something else. 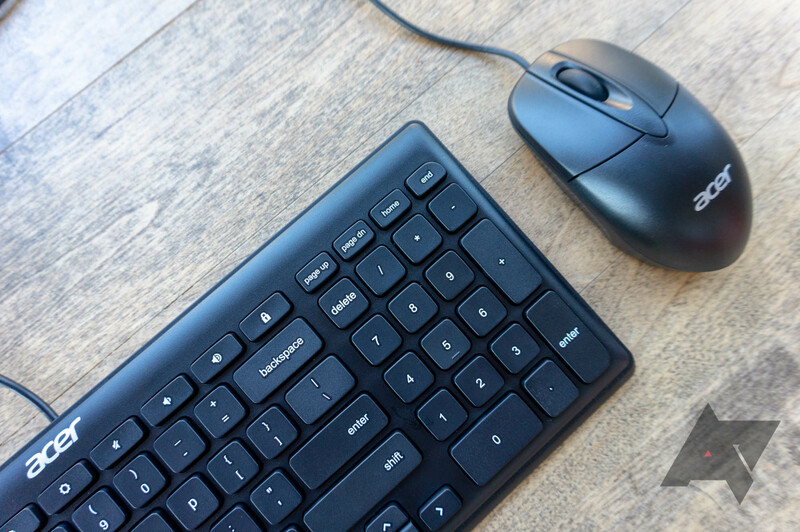 Any normal USB or Bluetooth mouse will work just fine on Chrome OS. Finally, Acer includes a VESA mounting kit in the box, so you can mount the CXI3 to the back of most monitors. As the name implies, the Acer Chromebox CXI3 runs Chrome OS. That means you get the Chrome browser, whatever Android apps you can download from the Play Store, and not much else. All of the usual advantages of Chrome OS apply here - no viruses/malware, great performance, background updates, and fast startup time. As I explained in my ASUS C302 review, I really like Chrome OS. It's definitely limited, but most of my work can be done through the browser - with the exception of occasional Photoshop edits. Chrome OS still isn't for everyone, but that doesn't mean it's "not a real OS," as I've seen plenty of people call it. 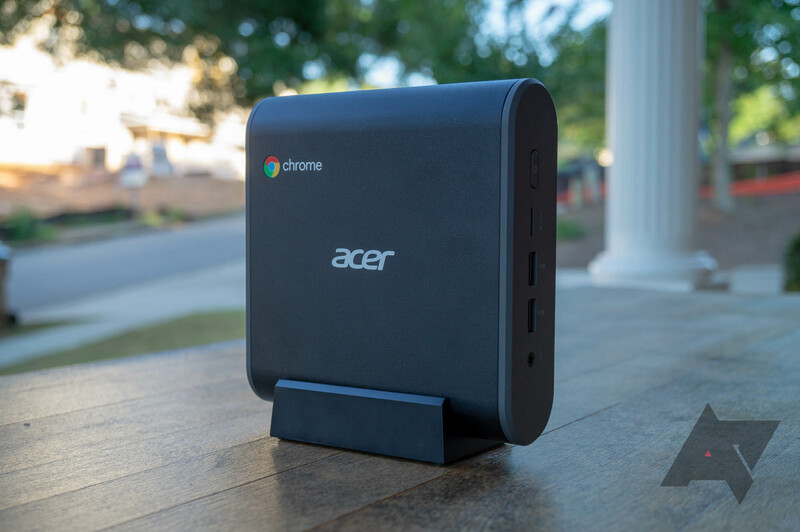 Some Chrome OS devices will soon be able to run Linux apps, but it's not clear if the Acer Chromebox CXI3 will be among them. If Linux application support is a top priority for you, I'd recommend waiting until the feature actually rolls out to the CX13 before you buy one (Update: Chrome Unboxed says Linux support is now available on the CXI3 in the Dev Channel). The vast majority of Chromebooks have bottom-of-the-barrel specifications - usually an Intel Celeron or Pentium processor paired with 2 or 4GB RAM. Even on these machines, Chrome OS generally works well. When you give Chrome OS a Core i5 processor and 8GB RAM, it absolutely flies. My normal workflow involves a few web apps (Slack, Discord, Spotify, Twitter Lite, etc), one or two Android apps (usually Lightroom and Gmail), and around 20 Chrome tabs. The CXI3 handles all of that just fine - I never noticed a slowdown. 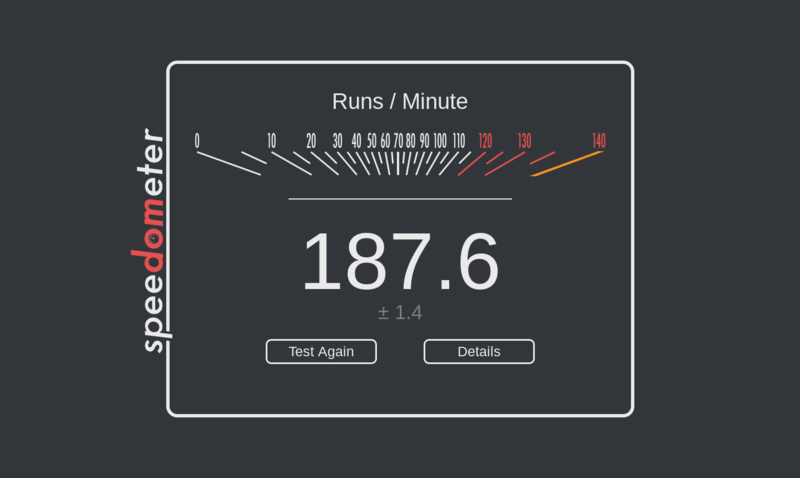 If you're interested in benchmarks, the CXI3 scores 187.6 on the Speedometer test. That's nearly four times what my ASUS Chromebook C302 got. On Geekbench 4, the result is 4,357 for single-core performance and 8,976 for multi-core (full results). Simply put, this thing is fast. The Acer Chromebox CXI3 is an excellent machine. It's compact, fast, and almost always quiet. However, the price might give pause to some potential buyers - the Core i5 model as reviewed here has an MSRP of $519.99. That's roughly the same price as a mid-range PC, a half-decent Windows laptop, or the Samsung Chromebook Plus v2. That being said, I don't think the price is too outrageous. This has the same CPU that many brand new ultrabooks have, combined with 8GB of dual-channel (2 x 4GB) DDR4 RAM and a 64GB SSD. The processor costs around $297 alone, and the memory is likely around $100. The $469.99 i3 model has an older 7th-gen Intel processor, but it should still be plenty fast. 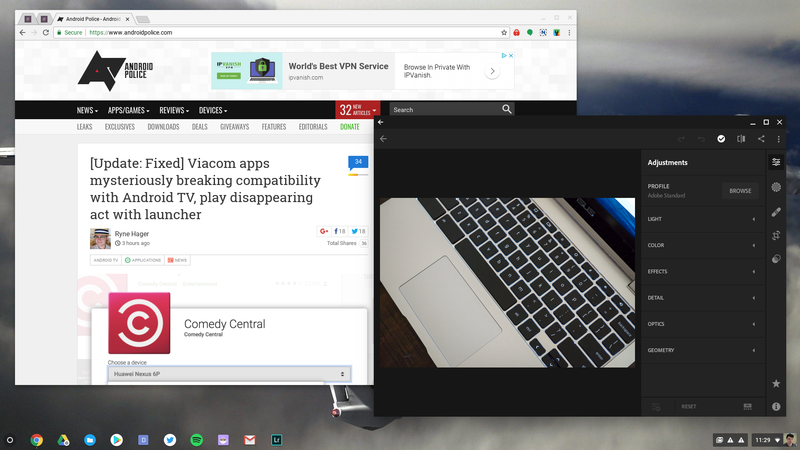 We haven't reviewed any Chrome OS devices with the Celeron 3865U processor, so I can't say for certain if the Celeron CXI3 performs well, but it's probably fine for light multi-tasking. As for the Core i7 model, I can't see a reason to buy it, given how fast the Core i5 version already is. If you like Chrome OS and you want a no-compromises desktop experience, the i5 Acer Chromebox CX13 fits the bill. 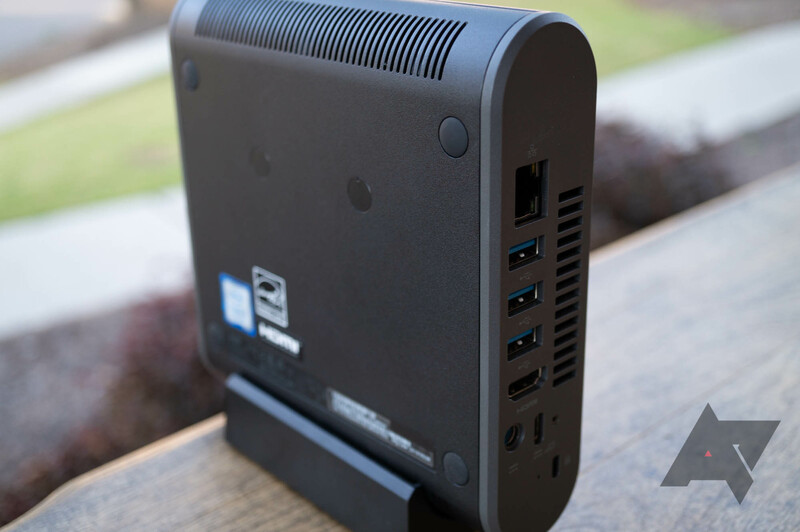 Chromeboxes are also great for family members that just need a basic desktop for email/messaging/social networking, but the i5 model is probably overkill for that - I'd recommend the Celeron or i3 versions instead.